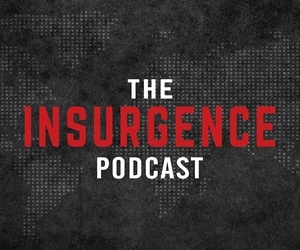 The following is the INSURGENCE playlist. Just click the video. The other videos in the playlist follow it. Just wait a few seconds after the videos ends before the next one plays. Or you can click the playlist icon on the top left of the video to see the other videos in the playlist. What Pagan Christianity did in redefinding and revolutionizing “church,” Insurgence does in redefining and revolutionizing “kingdom.” This is a daunting, engrossing powerhouse that’s accessible to all audiences. I predict it will become one of the author’s most iconic works and the new benchmark on the kingdom of God. Penetrating and full of insight. Revolutionary from start to finish, Insurgence astonishes and delivers. A masterstroke of spiritual genius. In this insightful and transformative book, Frank Viola reveals with crystal clarity just how far removed our truncated gospel is from the kingdom of God that Jesus embodied and that He calls and empowers His followers to embody. I am convinced that this wisdom-packed book will be used by God to completely transform the lives of many who dare to read it. Let me be clear—Insurgence: Reclaiming the Gospel of the Kingdom is not a book offering yet another parochial debate over some inconsequential point of theology. On the contrary, Viola’s message strikes at the heart of the core message of Christianity. Dr. Michael S. Heiser, Scholar-in-Residence for Logos Bible Software, bestselling author of The Unseen Realm: Recovering the Supernatural Worldview of the Bible, and host of the Naked Bible Podcast. I own thousands of books, but there’s a very small handful of books that I keep on my desk to re-read and refer to on a regular basis. Frank Viola’s Insurgence: Reclaiming the Gospel of the Kingdom is one of those books. This isn’t just a book – it’s a revelation of how we as Christians should be living our lives in today’s culture. Get the book. It will dramatically change how you look at the rest of your life. Phil Cooke, Ph.D., filmmaker, media consultant, and author of The Way Back: How Christians Blew Our Credibility and How We Get It Back. Insurgence is a course corrective for the communication of good news of Jesus. Thank you, Frank Viola, for masterfully presenting the gospel of Jesus as the here-and-now good news of the kingdom. Insurgence commands attention with its forthright, compelling vision of the kingdom that treats a wide range of facets of the kingdom message. 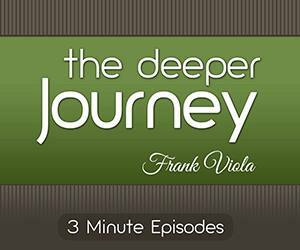 Frank Viola has a winsome and compelling way of drawing his readers into the fullness of loving well, learning well, and living well. In his newest work, he persuasively draws us into the holy aspiration of being captivated by Jesus, the world’s true Messiah and King. Insurgence portrays a powerful vision of the righteousness, shalom, and joy of the Kingdom of God through a people whose identity is derived from Him, not the work they do for Him. Frank Viola has done it again! He offers fresh insights on what it might look like if we took the message of Jesus, and His in-breaking kingdom, as if it were real. True. Beautiful. World changing. Heart transforming. Community uniting. Human remaking. A reader can ponder Insurgence one page a time! And that same reader may never be the same again. This book has the potential to open the eyes of many people to see how beautiful life with Jesus can truly be. In Insurgence, Frank Viola spells out a compelling case for reclaiming the powerful, life-changing gospel of the kingdom. There is an insurgence or a convergence of God’s people rallying around a fuller, more biblical articulation of the gospel. 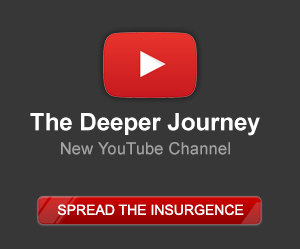 This insurgence isn’t just about getting our message straight, it’s about straightening out the lives of our churches. Nothing could be more important in our day. In this book, Frank Viola issues an impassioned plea to join this insurgence that appeals not simply to the head but especially to the heart. John Nugent, Bible and Theology Professor, author of Endangered Gospel: How Fixing the World is Killing the Church.